We've taken all the hassle out of the equation. The best dental care — modern, state-of-the-art technology — a team that cares for your family as their own ... it is all here under our roof. Dr. Armando Salazar and his team are proud to offer high quality dental services for the entire South Texas Gulf Coast Region. What happens when you introduce high-tech tools to the field of dentistry? Dental care becomes less invasive, more reliable, and more affordable. That’s why our practice in Port Isabel has invested in a number of today’s most advanced tools. Whether we’re helping a patient treat gum disease with LANAP or we’re building a crown on-site with our E4D milling unit, our patients can expect thoroughly modern service from our paperless office. I am very very afraid of dentists and told Dr Salazar this up front. He was patient and kind with me. Explains things before he does them which for me really helped my anxiety. "Dr. Salazar is a top of the line Dentist and super person .Everyone should go to him. So get an Appointment now." Continuing education is important to Dr. Salazar. That is why he is a member of the world-renowned Pankey Institute — one of the most prestigious organizations for continuing education in the field of dentistry. Each year, Dr. Salazar attends several training and educational sessions to stay at dentistry’s cutting-edge and offer patients only the best. Our office integrates the latest, most advanced technology in all of Port Isabel — and our commitment to always improving shows in the level of care we offer. Gum disease is a serious and very common dental health problem. Thankfully, the days of treating this condition with invasive surgery and unpleasant suturing are gone here at Port Isabel Dental Associates. Instead, our team relies on state-of-the-art LANAP laser dentistry to precisely target dangerous bacteria and treat infected areas of the mouth while leaving healthy tissue safely behind. With this care option, patients can experience faster healing time, improved procedural comfort, reduced inflammation, minimal bleeding, and other valuable advantages. Are you missing one or more teeth? Eating is difficult, you are self-conscious about smiling, and might even be experiencing intermittent pain. 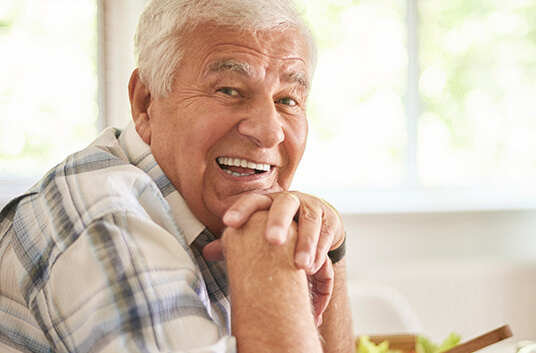 Dental implants are one of the latest advancements in dentistry, and they are changing the way dentists and patients alike view replacing missing teeth. Boasting a 95% success rate, they offer a stable, reliable solution that closely mimic your natural function and aesthetics. And, we even offer a solution to permanently stabilize removable dentures using state-of-the-art implants. Gum recession occurs over time when the tissue surrounding teeth moves backward and exposes more of the tooth—sometimes even roots. 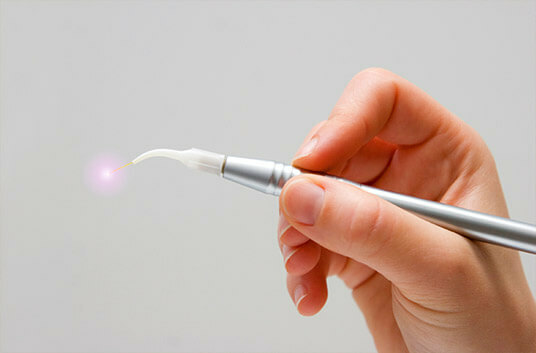 The Chao Pinhole Surgical Technique® (PST®) is a noninvasive surgical procedure to correct gum recession, and patients love its simplicity, ease, and dramatic results. Because no incisions are being made, side-effects and any associated pain are nearly nonexistent! The procedure is quick and accomplished in one visit, and the very next day patients notice instant cosmetic improvements and renewed confidence. Often referred to as “instant orthodontics,” porcelain veneers are a quick and effect cosmetic dentistry treatment to correct a number of issues. With veneers, gaps, chips, cracks and discoloring are all instantaneously erased, revealing a picture-perfect smile that feels as great as it looks. 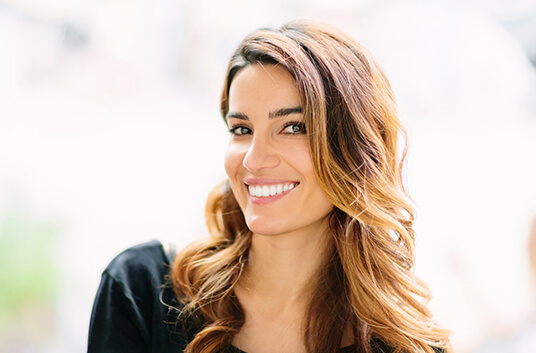 Patients often desire their teeth to look beautiful but not overdone, and Dr. Salazar is skilled in creating exceptional aesthetic results that appear natural and gorgeous. Schedule a complimentary consultation today to learn more!